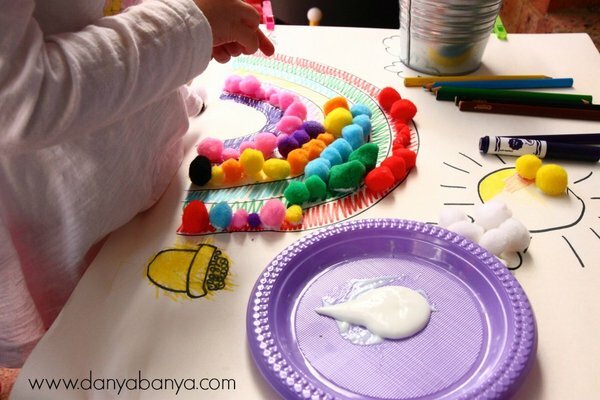 Toddler or preschooler fine motor & colour recognition craft idea – create a colourful pom pom rainbow for St Patrick’s day, or just as lovely kids’ activity for Spring. 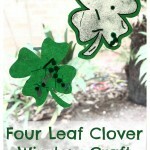 This was one of those crafts that started off as a fail, but ended up as a win. 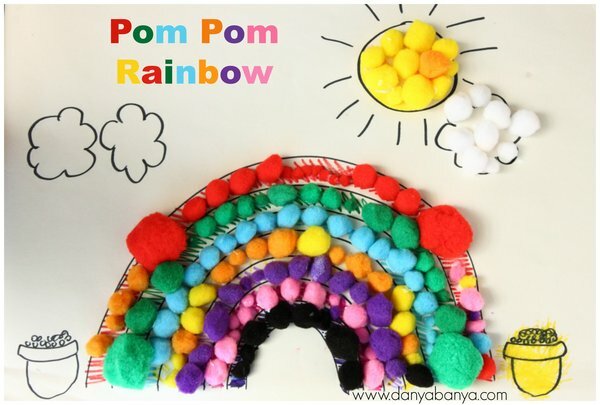 I’d bought a bag of mixed pom poms from our local craft store, with the idea that my daughter JJ (3 years and 1 month old) could practise colour recognition, matching and fine motor skills, by pasting pom poms onto a rainbow scene. I drew a rainbow outline, and was just taking a quick progress photo when I got sprung by JJ before I’d finished the whole set up. (You can see her hand in the first photo, she’d already grabbed a pencil and wanted to colour in). 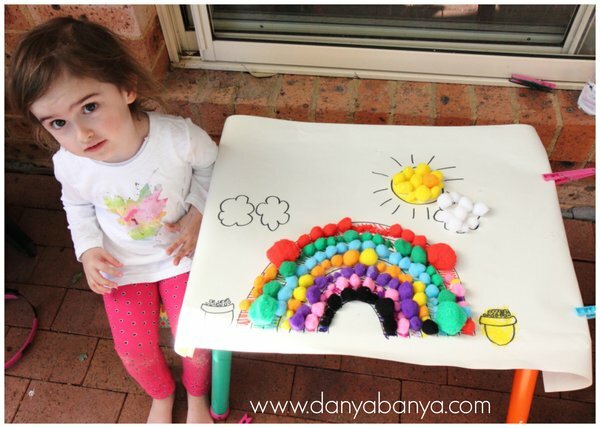 I asked her to wait while I roughly drew in rainbow colours, and then explained that the idea was for her to paste pom poms on top, matching the pre-drawn colours. But instead JJ chucked an enormous tantrum. So I backed off from my original idea, and instead put a clean piece of paper over the top, roughly traced my rainbow scene again, and let JJ colour it in to her heart’s content. After all, there are plenty of learning opportunities to be had in colouring in! 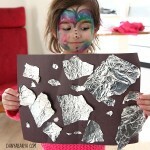 At first she coloured in by drawing straight lines along the rainbow, just like I had done. She didn’t use the exact rainbow order of colours, but she did choose a different colour for each stripe, naming them as she went. We talked about how a rough zig zag makes a coloured line look bigger. She was happy to let me demonstrate, and she tried too (she did the yellow rainbow stripe). She also coloured in the pot of gold. JJ’s colouring in skills are improving. She still holds the marker awkwardly, but is moving away from a traditional fist grip. She used to colour all over the page with abandon in a rough stripy fashion, but now she is capable of denser sections of colour, and is getting closer to being able to stay within the lines. Whilst I’m happy with whatever she wants to create, it’s great to see her fine motor skills developing, as this helps to build up the control needed later when she is ready to start writing. 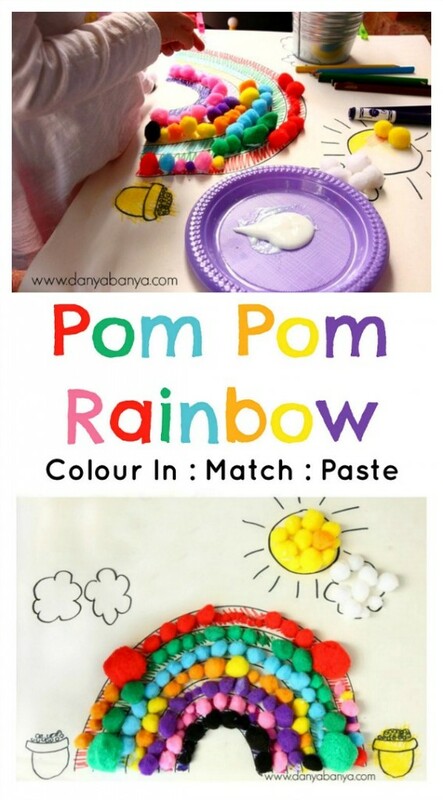 Then, once JJ had finished colouring, she asked for the pom poms and glue! And here it is, pegged up on our fence, drying in the sun. 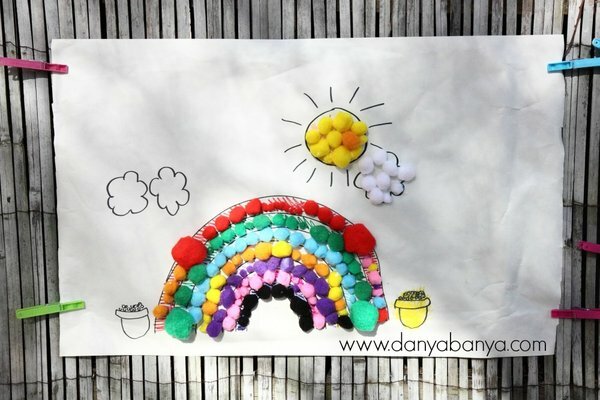 It would make a nice St Patrick’s Day craft idea, or just a lovely Spring activity – because everyone loves rainbows! If you are looking for more colour recognition ideas, you might also like our Colour and Shape Boats. Or if you’re more interested in fine motor gluing practise, then you might like our Stick People. 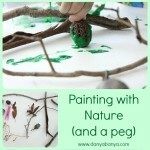 JJ was just in that blurry area of not quite a toddler, but not yet a preschooler when we did this activity. 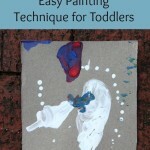 If you’re looking for activities for either age group, you can find loads (with some crossover) on our toddler or preschooler archive pages. * This post contains an Amazon affiliate link to a similar product to the one used in the post. An affiliate link means I may earn a commission or referral fee if you make a purchase through my link, without any extra cost to you. 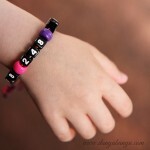 It helps to keep this little blog afloat. Thanks for your support. Thanks and thank YOU for featuring us!